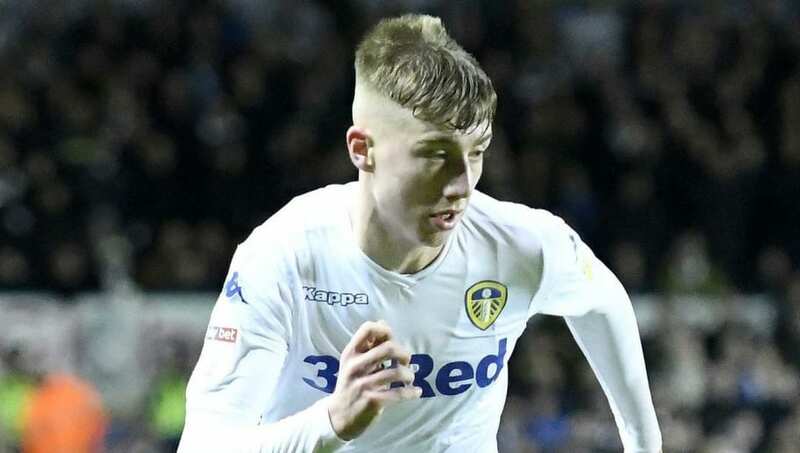 ​​Liverpool could be planning a summer swoop for ​Leeds Unite​d's teenage starlet Jack Clarke as they look to improve their squad for next season. Clarke has been one of the Championship's breakthrough stars in 2018/19, making 16 appearances so far for Marcelo Bielsa's promotion chasing side. According to The Express, Reds scouts have been impressed by 18-year-old Clarke's performances this season, while the Premier League title chasers could move for the midfielder even if Leeds are promoted this season. The highly rated winger has been gaining interest from a host of Premier League clubs, with suitors including top teams such as Tottenham Hotspur, Manchester City and Manchester United. Despite having only made his senior debut last October, Clarke has been one of Leeds’ star performers, making 16 league appearances, scoring two goals and providing two assists. During Satruday's 1-1 draw with Middlesbrough, Clarke was stretchered off from the bench having been replaced at half time after feeling unwell. The teenager was removed from the Leeds bench on a stretcher by paramedics, having had oxygen administered, and taken to hospital, from where he has since been released. The club will be hoping that Clarke makes a speedy recovery and returns to action soon so that they can continue their title push. Leeds’ next game is at home to Swansea City on Wednesday 13 February.